Help future donors, volunteers, and clients find STEP by reviewing us online! STEP gains visibility and credibility with your authentic online reviews. 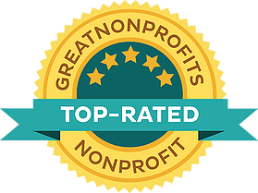 Once we get enough reviews, STEP will be recognized with a Great Nonprofits Badge. Several foundations STEP has approached value nonprofits that have gotten this distinction.